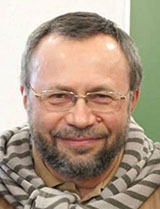 Professor of the International Academy of Architecture (Moscow branch), He authored numerous publications on AEC/BIM, including the monographs: "Basic BIM: an introduction to building information modeling" and "BIM technology: the essence and specifics of adopting building information modeling". Translation from the Russian original by Olga Lukhashenko. The technology of building information modeling is a new phenomenon in the world of construction engineering industry; it is constantly developing and changing borders and application forms. In this context adopting BIM is an even more complex process, and practically everyone who followed this suit, became a pathfinder. And pathfinders do not have immunity from errors. Moreover, errors are inevitable on their path. Thus, one of the main objectives in the process of adopting BIM is to timely identify and eliminate such errors, preferably at an earlier stage. It fortuned that in October 2015 the authors had a stroke of luck. First, at a one-day interval we attended an annual conference of Bentley Systems – “Bentley Connection”, and then the “Executives Day” at “Autodesk University Russia 2015” in Moscow. Both conferences had very intensive BIM agendas and interesting reports, plus we had valuable interaction with the attending experts. Second, at the Bentley Systems conference we were able to listen to Dmitry Poskonny of Moscow State Construction University who gave a report on “Integrated Adaptation Mechanisms for Implementing BIM-Technologies” and then we enjoyed talking to the speaker face-to-face. It was exactly a case when listeners got something very important from the report. For us it was an impulse that forced us to take a fresh look at some processes and attitudes to BIM. As a result of a follow-up analysis, we have got a theoretical confirmation of some doubts and guesses formed through many years of result-oriented efforts. It concerns, first of all, life stages of an organization and their relations with implementing new technologies. Third, we had a good opportunity to compare two approaches to implementing BIM, well-pronounced at the above conferences of those respected companies that are truly successful in information modeling. Being impressed and overwhelmed with new knowledge and ideas we decided to share our considerations with the readers. The Bentley’s position on implementing building information modeling technology can be figuratively described as “soft” or “polite”. Perhaps it is more correct to say that the company most likely has no official position on the issue. Users are simply given the necessary software tools that have proved their efficiency and they get access to successful experience of other companies. Naturally, an organization itself is responsible for implementing BIM and the outcome of the implementation. In our opinion, the Autodesk’s position on adopting BIM can be labeled as “strictly advisory” with a high degree of formalization. Apart from well-proven software programs users are also offered a nearly-official consulting by Autodesk or recommended companies. It is also expected, however, that a corporation shall implement BIM on its own and bear responsibility for the results. Let’s now deviate a little bit from BIM. As it is well-known, corporations, like living organisms, pass several stages in their development – from infantry to ageing, and face various growth “traps” that should be avoided to move forward sustainably. There are numerous works on this issue, of which the most popular and adequate is a curve proposed by Ichak Adizes to visualize the development stages for an arbitrary firm. It is essential that in his approach Adizes focuses not only on growth but also on regression of an corporatiojn, making the process predictable, which means – to a certain degree controllable. One can easily find a detailed description of all corporate lifecycle stages on the Internet as well as in a specialized literature, first of all, a book by Adizes published in Russian, so we are not going to pay significantly more attention to it. Let’s just make a few useful points. First, the boundaries between different stages on the Adizes curve are pretty conventional. Furthermore, “chemically pure” graphs of firm performance do not exist: in reality it seems that all development stages tend to inter-grow, and at each lifecycle stage a corporation can reveal some features which the theory typically attributes to other (not necessarily adjoining) lifecycle stages. We believe that the picture is similar to microbes: nearly all of them are always present in a human body but there are no conditions for their further development due to the work of the immune system. Under particular circumstances, however, microbes suddenly begin getting such conditions, which leads to various diseases. Second, each lifecycle stage does not have a clear time frame, and is determined on a case-by-case basis. It is known that a correct approach to business-processes can prolong the “Prime” and” Stable” stages indefinitely long, avoiding firm aging and decline. The opposite is also true though: wrong actions can accelerate the aging process, and we will discuss it later. Third, all stages of corporate aging and decline are characterized by bureaucracy and excessive formalization of business-processes. Therefore, it would be natural to conclude that the level of bureaucracy and formalization of business processes is indicative of a degree of firm ageing. For instance, one of a typical and rather widespread signs of such ageing is an e-checkpoint in a design company with per-minute billing of the employees’ attendance time, especially if this organization sits idle without customers. Fig. 1. Corporate development curve and its author – Ichak Adizes. Now let’s return back to adopting BIM. It is natural to assume that other factors being equal the process efficiency also depends on the lifecycle stage of the implementing organization. If a particular stage if not beneficial for adopting BIM, the results will be far from optimistic expectations. Fig. 2. Zones of efficient and inefficient BIM implementation on Adizes curve. A slide from Dmitry Poskonny’s report given at the Bentley Conference in Moscow. 1. BIM is not CAD! 2. Do not shift everybody to BIM simultaneously, especially by order. 3. At the initial stage of transition to BIM productivity goes down invariably. 4. To implement BIM funds are needed. 5. Transition to BIM requires reviewing the design process. 6. Transition to BIM involves adjustments in personnel and administration. 7. Work without BIM-managers is impossible. 8. Corporation needs special rules and regulations to work in BIM. 9. Do not save on staff training. 10. Use pilot projects a lot. 11. Implementing BIM, take into account a corporate lifecycle. Let’s now go back to the two outlined-above approaches to adopting BIM. It is easy to notice that the approach we observed at the Bentley conference is neutral with regard to corporate lifecycle stages. It means that if a particular stage is favorable for implementation, the process well go well; if it is not favourable – at the very least a company will be facing difficulties it if unfamiliar with that are determined by a development stage. If, however, you identified the current lifecycle stage correctly and take into account its specifics in your operations, the outcome becomes predictable to a considerable extent (certainly, subject to complying with other Ten Commandments). Now about the method of implementation proposed by Autodesk. At first glance, it is also neutral with regard to corporate lifecycle stages (if any case, these stages are also, mentioned nowhere). As already pointed out, this method presumes a very high degree of process formalization set from above. For instance, according to the reports at the conference, a corporation in transition to the information modeling technology will need BIM-directors, BIM-managers, BIM-masters, BIM-coordinators (the speakers even mentioned their salary rates), as well as enterprise BIM-standards, BEP (in layman’s terms it is a project execution plan in BIM) and much more. It seems unlikely that anybody will in principle object a work plan for a particular project. Moreover, such a plan is always necessary, especially for large projects regardless of whether BIM or not BIM. It also seems natural, however, that devising such a plan must not push design efforts to play supporting roles (complicate them). 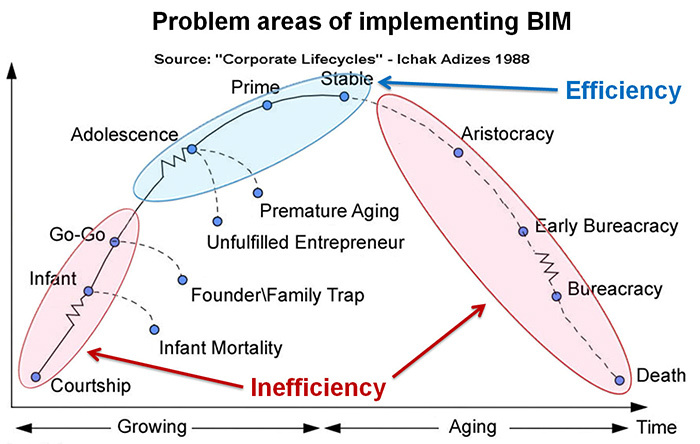 We are concerned that regardless of our desire moving to a high degree of process formalization in a firm (which is recommended for a transition to BIM) – is a “leap” at the stage of “Aristocracy” or “Early Bureaucracy” on the Adizes corporate lifecycle curve with all ensuing consequences. Obviously, if a firm is at one of those development stages, nothing dangerous will happen, and there will be no “leap” since it is already “there”. The firm, however, will be experiencing difficulties adopting BIM (or perhaps such difficulties will become more pronounced) due to the firm ageing, which anyhow must be factored in if processes are to be organized correctly. Also worth noting is that at these stages the “ageing” company (or more precisely, its executives) will have a rather positive outlook of the “bureaucratic” method of implementing BIM. Nevertheless, multiple new documents regulating BIM-processes will overlap numerous old instructions, and conflicts are inevitable. Those conflicts will also have to be solved through bureaucratic methods and the solutions will not always favor BIM. As a result, corporate ageing will accelerate. If a firm is at the growth stage, however, such actions also can trigger a more intensive ageing, which is very bad for a developing business. There is a paradox: “formalized” implementation of the new technology can significantly shorten the “ascending period” of corporate life – accelerate the ending of its operations! Who and why is interested in the “formalized” approach to adopting BIM? As stated above, this approach is fully compatible with the ageing stages of a firm; and that is why it will be given a favorable consideration by the executives at these periods of the firm lifecycle. Besides, regardless of the development stage the “formalized” approach is always pretty convenient for those executives (bosses) who do not wish to delve into the subject: it suffices to approve some plan, standard or a table and then be busy for years improving particular points and demand their execution. For instance, make sure there are BIM-masters. In this case executors also learn the rules of the game quickly: they are going to draft instructions and issue orders to appoint BIM-masters, send them to trainings for BIM-masters (such training courses, offering certification, will mushroom promptly when there is a demand), or simply instruct the Personnel Departments to hire only those who have a “BIM-master” entry in their employment record books. It is important to understand, however, that such kind of corporation will not have good BIM – it will simply play an “implementing game”. This game can feed many and for quite a while since corporate ageing typically lasts for several years. In other words, the position can be quite stable because it becomes beneficial for several groups of persons simultaneously. Besides, the consulting party can always explain any implementation “slipping” that to succeed fully the firm also needs BIM-leaders, BIM-drivers, BIM-superintendants, BIM-supervisors, a steering BIM-council or something like this. It is no secret that a common designers’ opinion still is that BIM technology does not make their life easier, instead being an extra burden with unclear tasks and goals. We believe these are the first and fairly natural consequences of the “formalized” approach to adopting BIM, in spite of the fact that the real implementation has not happened yet. Here many can ask a legitimate question about the UK experience and the British standards, references to which are so popular in Russia. What are they, something that drug down the entire British construction industry? And at the same time the British construction industry steadily goes up? No, they do not weight down because the British standards are aimed at representing the state interests in the construction engineering sector. The main objective of the standards is to formalize tender procedures and public quality control requirements for the results of information modeling, specifically in the UK. Certainly, private firms, first of all, big business, may employ the standards working with contractors and they already employ them. The standards, however, have nothing to do with regulating in-house operations of a corporation responsible for a project. Documents like EIR, that describe performance expectations, play a similar role. Evidently, human mind works in such a way that one constantly, and especially in difficult periods of life, needs some fairy tale characters to trust in. 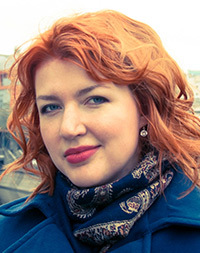 Such characters may be a kind tsar, aliens, the Gold Fish from a Russian great poet Alexander Pushkin, and many others. Some representatives of “homo sapience” understand that all this is fiction; while life is real and one must work in the reality. Still the desire for fairy tales is so strong that sometimes it goes way over the limit. The BIM case is not an exception because in the formalized approach to adopting it many “implementation specialists” are involved in something they hardly understand (for instance, large-scale setting of BIM-standards), replacing the lack of process understanding with some mythical ideas. Just a glimpse on the modern ”fashion” trends in implementing BIM allows to identify right away a number of fairy tale characters, and BIM-manager undoubtedly is the key one. In fact, BIM-manager is a typical Puss in Boots. This is because the most popular opinion today is that a corporation must invite a BIM-manager who then will “do everything” independently, which means “implementing BIM”. Thus, BIM-manager is not a magic stick which you swings and everything works out, and it is not a Gold Fish that one must beg for something; it is exactly Puss in Boots who manages to achieve everything (for the boss) through own efforts. The main objective of Puss in Boots (BIM-manager) is to catch the Gold Fish (write a BIM-standard for an organization), which in return brings total happiness (BIM implementation). We have no doubt that the Gold Fish accomplished such tasks, although we have only Pushkin’s word for it. As for the BIM-standard, today there is even less evidence of its efficiency in adopting information modeling technology by a design firm. Fig. 3. This is exactly how many “dreamers” imagine today the most desirable path for implementing BIM. We are not against optimizing work processes by a corporation and drafting supporting documents. On the contrary, such optimization must be in place because it enhances firm performance. It appears though that it would be wrong to put formalization of production relations to the first place when implementing BIM, prescribe rigidly every little detail and then rigidly follow-up their execution. Something that can avoid complication should not be made more complicated! So what is to be done? Instead of “handing down” documents, plans and regulations, a corporation should accumulate practical experience on the basis of general “rules of the game” and use it to create documents with non-rigid interaction boundaries (with a program and people). The rules then should be added as needed, therefore, fixing the success gained through accumulated practice. It is simple and natural. BIM is a new technology and we do not know yet what the boundaries for its capabilities are. The rigid boundaries of regulatory corporative documents do not leave room for experiments and hands-on discoveries of more interesting and elegant solutions for business-processes, which seriously hampers development. Formalizing BIM implementation may be acceptable for the firms that are already are at a descending stage of their lifecycle and therefore are prone to bureaucratization. Not that it would bring them many benefits. Excessive formalization is particularly dangerous for developing firms, because it decreases their possibilities to prolong the ascending stage of their lifecycle. And the future of design construction sector in Russia is determined exactly by such comapnies that are most interesting for BIM implementation. What should do those who wish to implement BIM? Let’s start with “growing” corporations. Here everything is simple: implement BIM through company’s practice based on the described “Ten Commandments” and do not go to the extremes of “formalization”. At this stage there is a good rule: if a thought came across to introduce something regulatory, write a well-balanced order, put it somewhere deep into one of your desk drawers and return to it in a month. Most likely, reviewing it will show that both the form and the content of the drafted document need changes. Do any changes you find necessary and then put the document inside your desk again. The process should have several reiterations and only then it may generate the right results with a high degree of probability. Somebody can certainly argue that this way we decelerate the firm progress, preventing its dynamic development, etc. Nothing of the kind! Things will be improving at work places and production relations in a direction necessary for production, however, subject to the personnel not being hog-tied with rigid instructions. When the novelties prove their efficiency, it is a must to “legalize” them in a special document. In other words, it is advisable to follow the rule: “practice first, then a document”. This rule, by the way, will secure a firm from the risks associated with early development stages, which we had not talked about much. If you do not know why information modeling can be useful, there is no need for you to adopt BIM. Live the way you are – it will prolong your “green old age” until your business ends up naturally. And then the building can be leased. If, not knowing and not understanding why BIM is needed, you nevertheless attempt to implement it, especially employing a bureaucratic approach, you should be aware that the ending of your business can come much earlier. And there hardly be a chance to lease the building. If, understanding the inevitability and usefulness of BIM you decided to adopt the technology, better to do it right. What does it mean – right? First of all, follow the “Ten Commandments” , particularly, the second one: “Do not shift everybody to BIM simultaneously, especially by order”. Next, do not impose rules, orders, standards, regulations and so on and so forth, no matter how much you want it, find it easier and simpler and no matter how others advise you to do it. The right avenue would be to form a special “zone” within your corporation to implement BIM. The “zone” should be practically autonomous in terms of production and initially semi-autonomous financially (at the beginning it needs “feeding”). The “zone” also should be “freed” from the existing bureaucratic overlaying, regulating production relations and preventing new relations. And then act as if implementing BIM in a growing corporation. Ideally the “zone” will overgrow into a full-fledged and efficient BIM-company, which will support the “green old age” of the corporation that gave rise to it. And there will be no need to lease the building – everything will be made working. Fig. 4. The BIM-zone gradually takes the place of the entire company. The outlined BIM implementation model for existing corporations is not something extraordinary or exclusive. Experts were aware of this approach to introducing new technologies (“The new grows up at the bottom of the old”) long before building information modeling emerged. One of the authors was lucky to listen to Chris De Neef (http://www.fasttrack.be/), the founder of “Fast Track Consulting” of Belgium, outlining such an approach at COFES-Russia-2013 (http://isicad.ru/ru/articles.php?article_num=16174) in St Petersburg. We would like to emphasize with gratitude that Chris De Neef is a true Consultant. Unfortunately, nearly nothing is known in Russia about the methods of “breeding” BIM in the bowels of an existing company. Therefore, the choice is often made to take the “bureaucratic” path replacing real implementation with inefficient instructions and paperwork. Imagine that you put a third-grade schoolboy to college to study with first-year students. You certainly supplied him with all instructions, references to regulatory documentation and literature; he attends all lectures, does not miss any seminars, and gets an educational allowance. The results anyway will be miserable because a third-grade schoolboy simply has not grown yet to be a university student! It seems that everybody understands it. It is the same case with BIM – one needs to grow up to this technology, and it may happen in different ways.